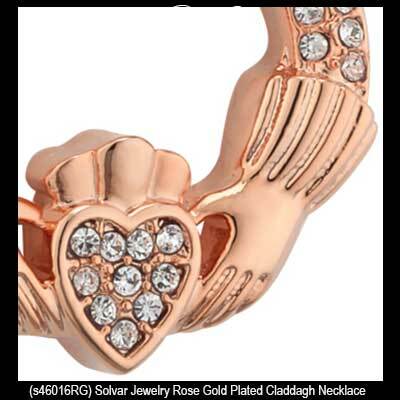 The plated Claddagh necklace selection is our most eclectic with silver tones, gold plated and rose gold plated pendants. 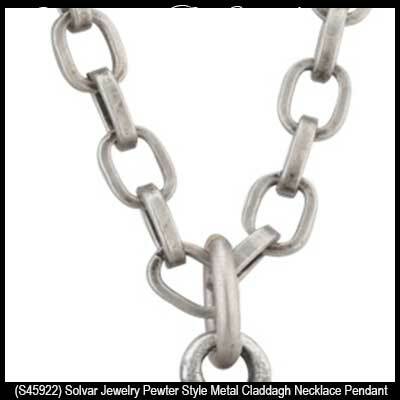 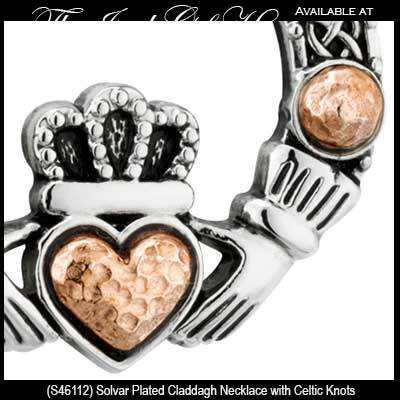 You may also select from traditional Claddagh pendants or those with Celtic knots. 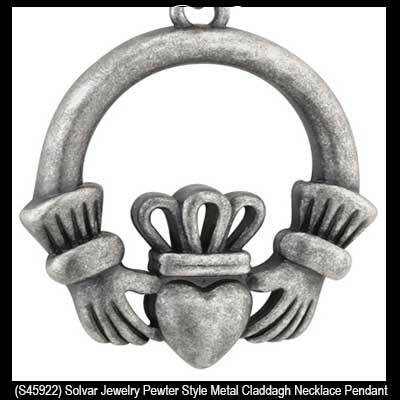 The silver tone Claddagh necklaces include silver plated and rhodium plated pendants; rhodium is a shiny white platinum metal. Choose from plated Claddagh pendants that are set with crystals as accents or as the Claddagh heart; The Irish Gift House also features necklaces with enamel accenting. This rhodium plated Claddagh necklace features a dangling freshwater pearl in the center along with crystals. 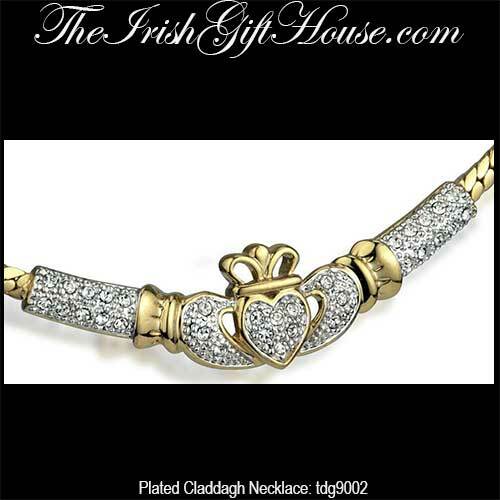 This gold plated Claddagh necklace features a crystal heart that represents the birthstone for April. 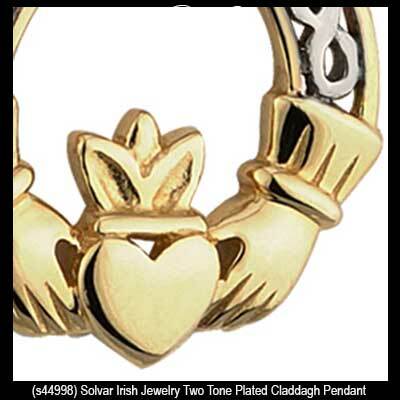 This gold plated Claddagh necklace features a lab created emerald heart that represents the birthstone for May. 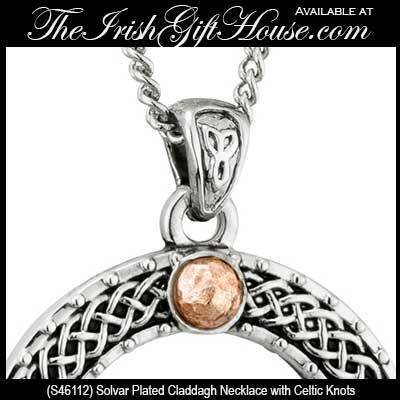 This large plated Claddagh pendant features rose gold accents and engraved Celtic knots. 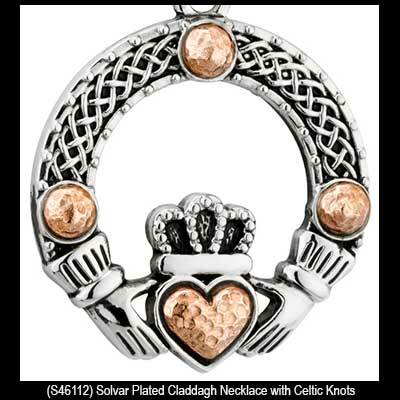 This gold plated Claddagh necklace is enhanced with filigree Celtic knot-work that is accented in rhodium plating. 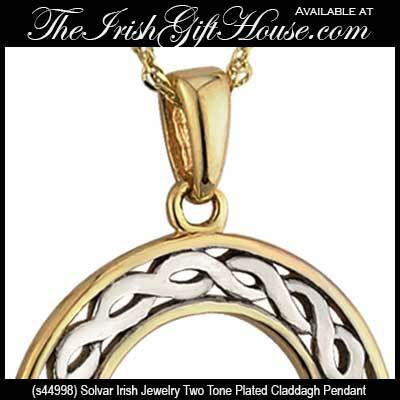 This gold plated Claddagh necklace features a Celtic Trinity knot along with rhodium plated accenting.